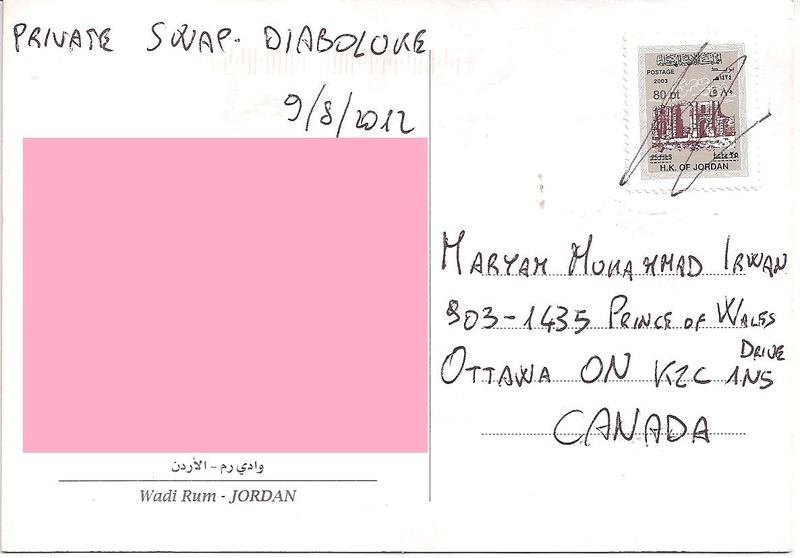 My first postcard from the Hashemite Kingdom of Jordan! It’s from Luca Damiani of Italy who was visiting Jordan. 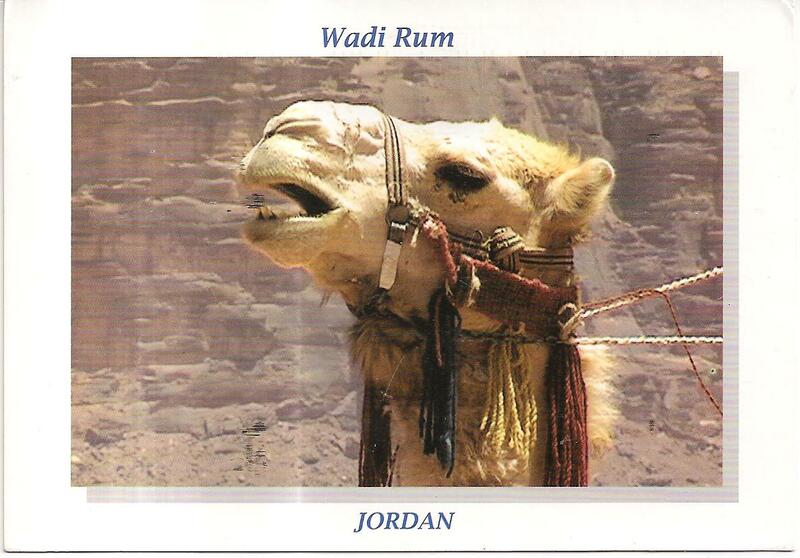 The postcard shows a camel at Wadi Rum in Jordan. At the back, Luca affixed one definite stamp which was cancelled with a pen. Thanks a lot Luca!